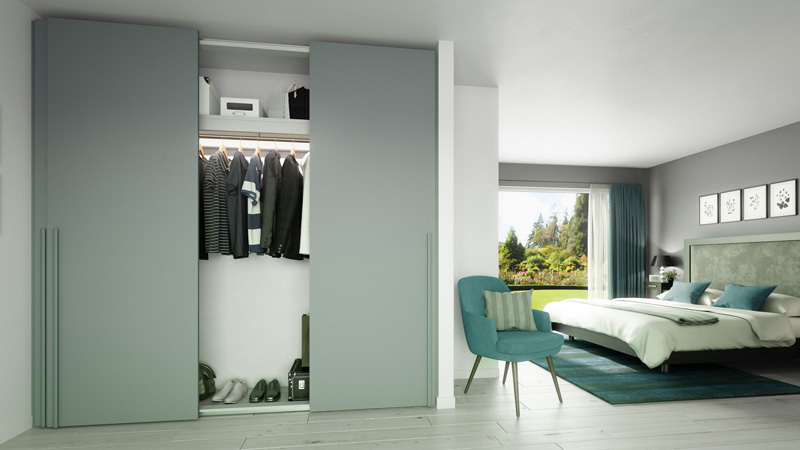 A new range of contract wardrobes has been launched by Pantera Wardrobes this autumn. Manufactured in the UK but designed with the specification and style of Italian furniture, Urbanmobili bridges the gap between quality and affordability and is ideal for the developer market. 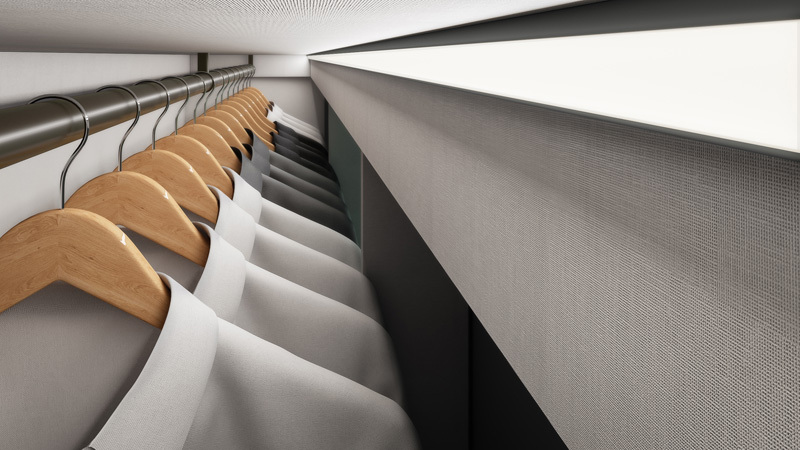 The range includes both hinged and sliding doors in a wide choice of finishes and colours. Brochures can be requested or viewed on-line, and guides on technical installation, lighting, colours and handles are available on request. Our hinged front-framed wardrobes can be tailored to fit any wall openings to create a streamlined and contemporary profile and a generous storage space. 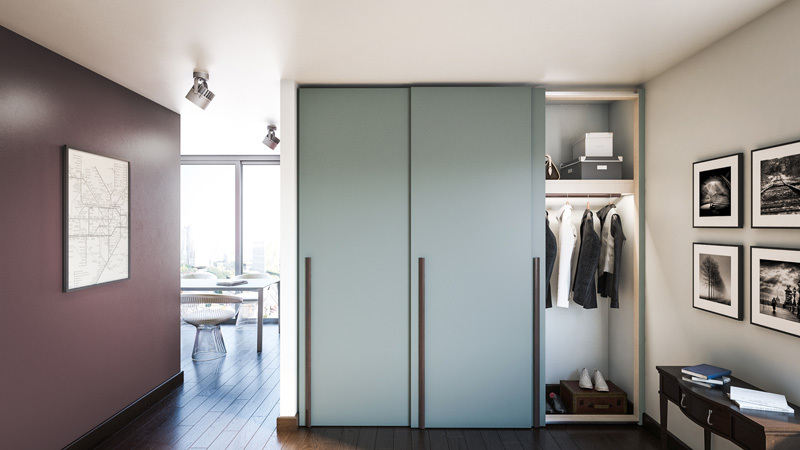 The full height hinged doors come in a range of modular sizes for maximum flexibility and are available in a choice of finish and colour, with a selection of handles to create an individual look when designing an interior scheme. A smart mocha hanging rail comes as standard, and lighting can be added either behind the shelf bearer or recessed into the blanket shelf. Urbanmobili front-framed sliding wardrobes are ideal where space is at a premium and offer a streamlined look and generous storage for a competitive price. 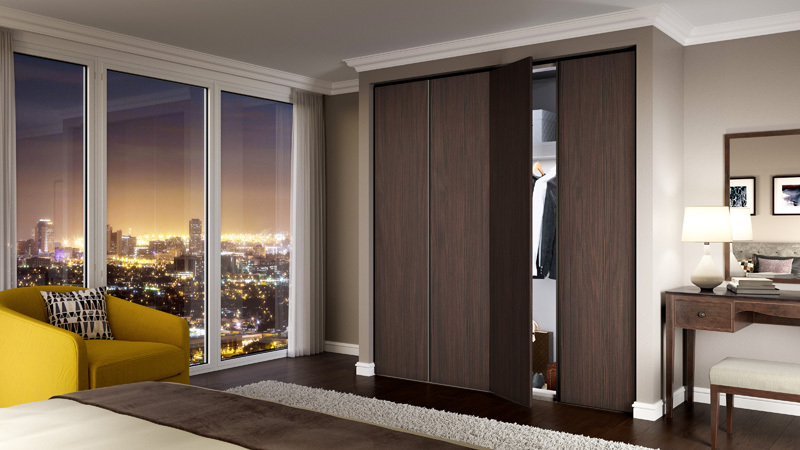 Our sliding wardrobes have top hung doors which is a feature rarely found in the developer market. They also have an anti-jump track with soft open and close which provides an elegant gliding motion. 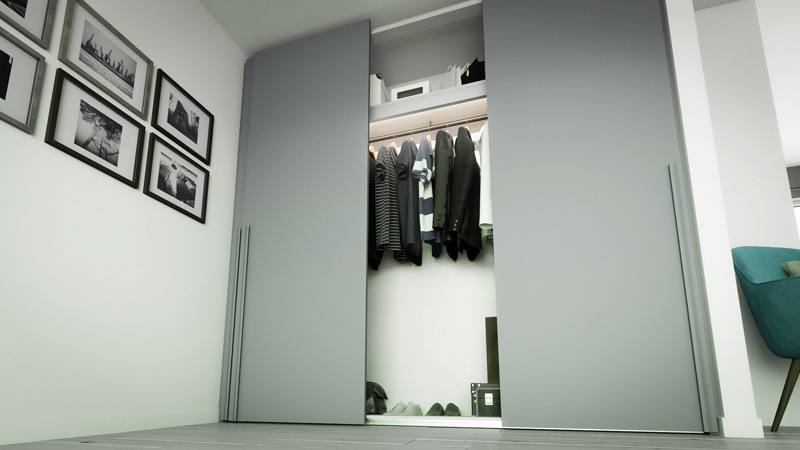 The full height doors come in a range of modular sizes and are available with a choice of finish, colour and handles. All wardrobes include a blanket shelf and mocha hanging rail as standard and lighting can be added to complete the look. 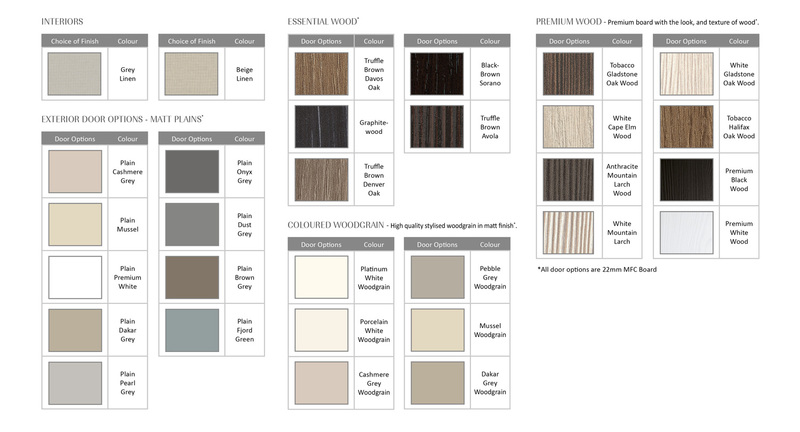 All Urbanmobili wardrobes are available in the finishes and colour range below. All doors are high quality 22mm MFC board and samples can be provided on request. Should you require finishes and colours outside our standard range, please discuss this with our team.